Hand Drawn Vector Abstract Cartoon Summer Time Graphic Illustrations Template Background Badge Design With Ocean Beach Landscape,pink Sunset And Beauty Toucan Bird With Copy Space Place For Your Text. 免版稅剪貼畫，向量插圖和股票. Image 116845740. 版權商用圖片 - Hand drawn vector abstract cartoon summer time graphic illustrations template background badge design with ocean beach landscape,pink sunset and beauty toucan bird with copy space place for your text. 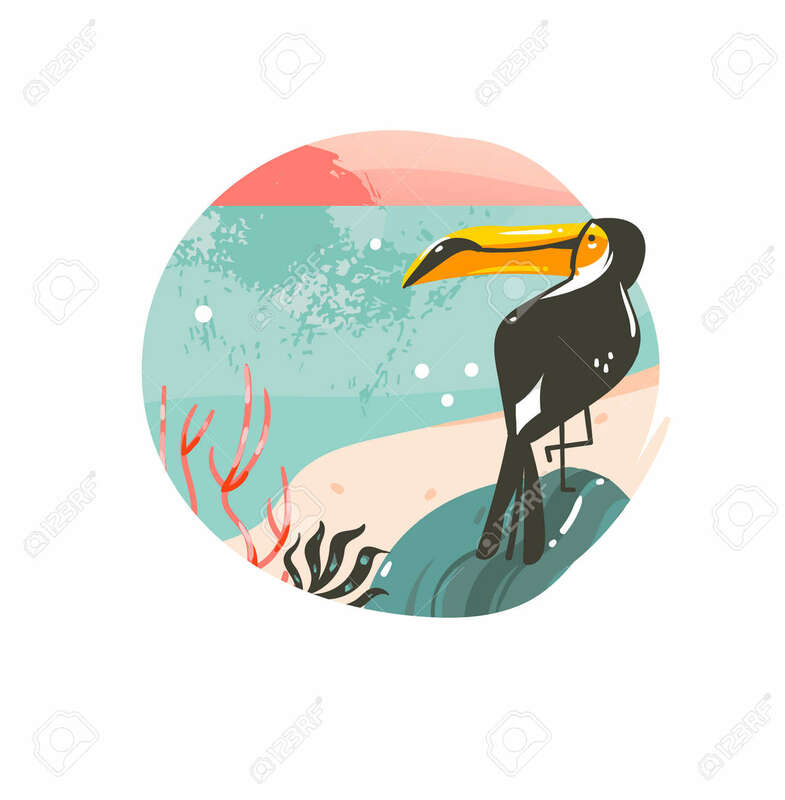 Hand drawn vector abstract cartoon summer time graphic illustrations template background badge design with ocean beach landscape,pink sunset and beauty toucan bird with copy space place for your text.